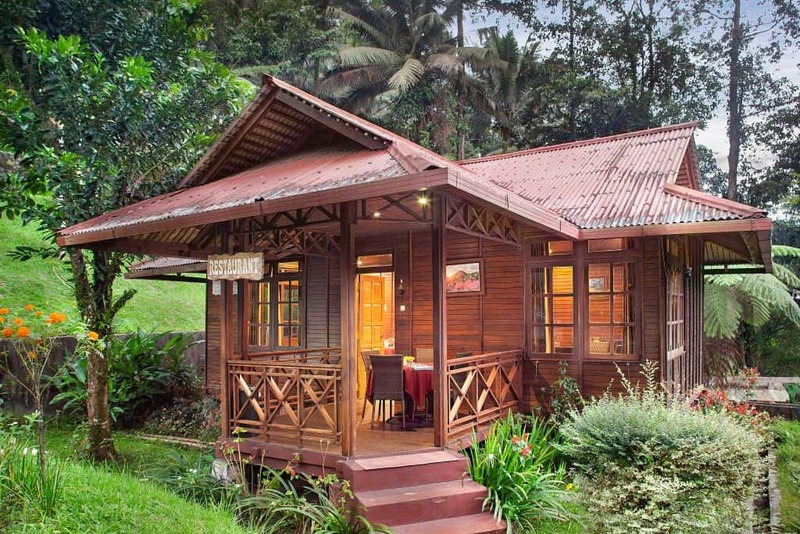 Traditional Indonesian architecture has been used in the construction of the cottages. Artistically designed furniture made of coconut wood is a feature of each room. Beauty and privacy has been achieved by terracing the front of all the units with exotic plants and flowers. 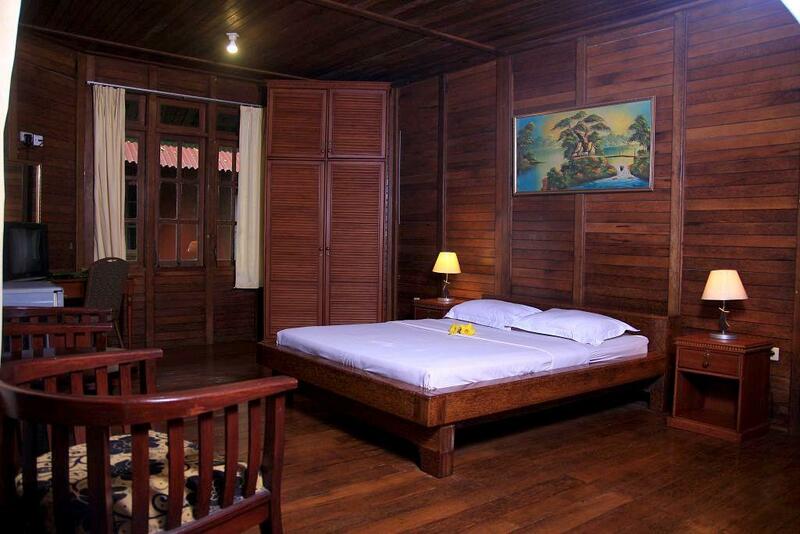 There are five types of rooms: Standard, Superior, Deluxe, Highland Suite and Highland Grand Suite. All have private bathrooms with hot and cold water showers. Other amenities that are provided for your comfort in all our rooms are satellite TVs and large, comfortable beds. For the Standard and Superior catgories there are two rooms under one roof, sharing a veranda. 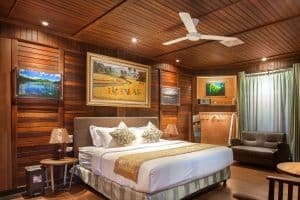 The more spacious Deluxe Rooms and our Suites are private cottages. 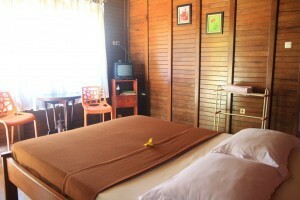 Superior Rooms, Deluxe Cottages and Suites have coffee and tea making facilities and a fridge. Additionally the Suites have a ceiling fan and king size bed. Our most luxurious option, the Highland Grand Suites, are equipped with a spring bed, sofa, safety box and additional amenities. 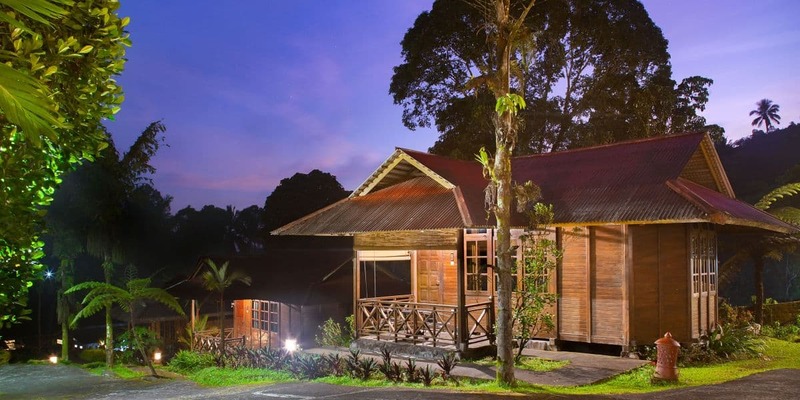 Our Deluxe Cottages are detached, which means more privacy for you. They are very spacious so that an extra bed can easily be added. Each cottage has a queen sized double bed and a private bathroom with shower and hot water. Additionally there are coffee and tea making facilities, satellite TV and a fridge. Free WiFi is available in your room. 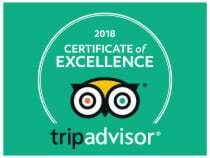 Features: Double bed (queen size); table; chair; cupboard; TV (Indovision); electronic mosquito repellent; electric kettle; complimentary mineral water, tea and coffee; minibar; private bathroom with hot water shower, toiletries, towels; hair dryer; private terrace; free WiFi. The most budget-friendly option – and yet our Standard Rooms are equipped with everything you need during your stay with us. 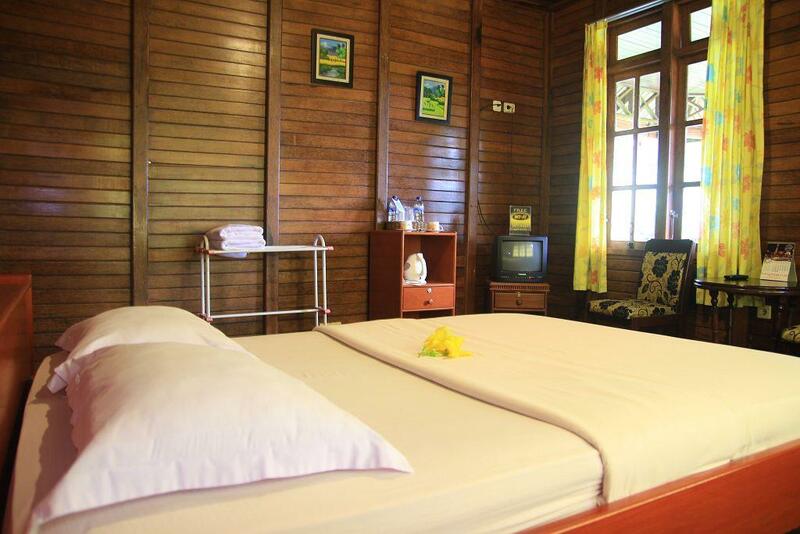 Each room has a double bed and a private bathroom with shower and hot water. There is enough storage space for your belongings. Free WiFi is available in your room. 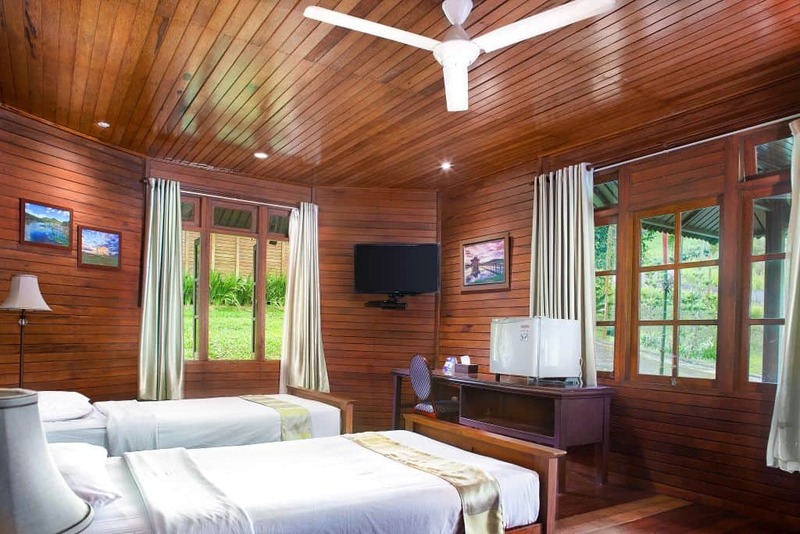 Features: Double bed; table; chair; cupboard; TV (Indovision); electronic mosquito repellent; complimentary mineral water; private bathroom with hot water shower, toiletries, towels; shared terrace; free WiFi. 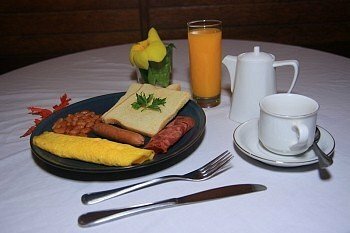 Breakfast is included in your room rate. Be assured, we won’t let you go hungry on your daily activities. 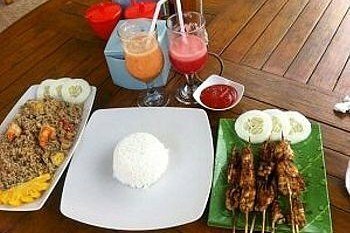 Choose between Continental, American and Indonesian: Tea, coffee, hot chocolate, juices, toasted bread, butter, cheese, jam, eggs any style, baked beans, various fruits and more. We will also gladly serve you the local-style fried rice or noodles if that’s what you prefer. If you have any special wishes don’t hesitate to tell us – the team will do their best to make you happy! For a small resort like ours it’s difficult to provide a large selection of meals to our guests. That’s why we have opted for catering from Tomohon’s No. 1 restaurant (according to TripAdvisor), the Green Garden. It’s a branch of the famous restaurant also in Manado. Choose your meals from the menu at the resort and we’ll order for you – with a guarantee for fresh and tasty food. Just add a bit of waiting time as all meals are freshly prepared and delivered. Got any questions? Special requests? Want to enquire or book directly? Don’t hesitate to send us your message and we’ll do our best to get back to you as quickly as possible.